The Church of England is to invest £35 million in new outreach and evangelism projects, it was announced today. The move is part of the Church's Renewal and Reform programme and is intended to help it reach tens of thousands of people including in city centres, outer estates and rural areas. The grants will pioneer new types of churches along with other projects, ranging from a social media pastor to work with school and community choirs. 'These projects show the dynamism and drive of the Church of England's mission to share this good news with people throughout our dioceses and parishes. In Bradford, a church with a planned gym and café on site is to be created in a nightclub area in the centre of the city as part of the Church of England's mission to students and young adults. Several of the grants will boost the Church of England's presence in areas with high student populations. 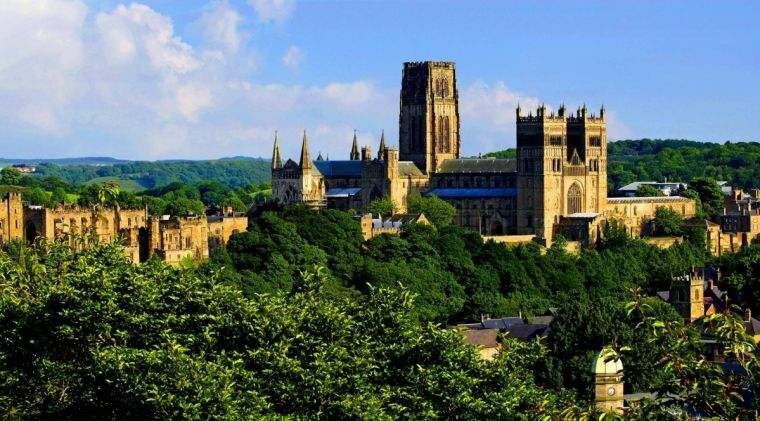 In Durham, St Nic's Church, in the centre of the city, will seek to engage with the further education sector, building on existing work amongst university students. The spending round includes funding for mission work through the Church of England's Anglo-Catholic tradition. In Lancashire, the City of Preston Parish, of Preston Minster and the Anglo-Catholic St George's Church, is to expand its outreach, including to under-25s and students in the town. Churches in the Anglo Catholic tradition in east London and Essex, areas of rapid population growth, will be supported to create new congregations. The grants from the Church of England's Strategic Development Fund have been awarded to the dioceses as part of the Renewal and Reform programme aimed at creating a growing church for all people and for all places. Programme director Debbie Clinton said: 'From a church in a nightclub area to weekday congregations and a social media pastor, the Church of England is not afraid to try something new to ensure it continues to serve every community in the country.